Windows 10 is everywhere! Running on more than 18 million PC's within few days of the launch is a very impressive record and all credits go to Microsoft for that. But sometimes, the upgrade doesn't go well or you may need to upgrade multiple PC's for which the Windows Update mechanism turns out to be painfully slow and uses lot of your data. Most of you must have come across the Windows 10 media creation tool which will let you download the Image file and use it in other PC's but still I find that tool lacks the capability of pausing and resuming the download. 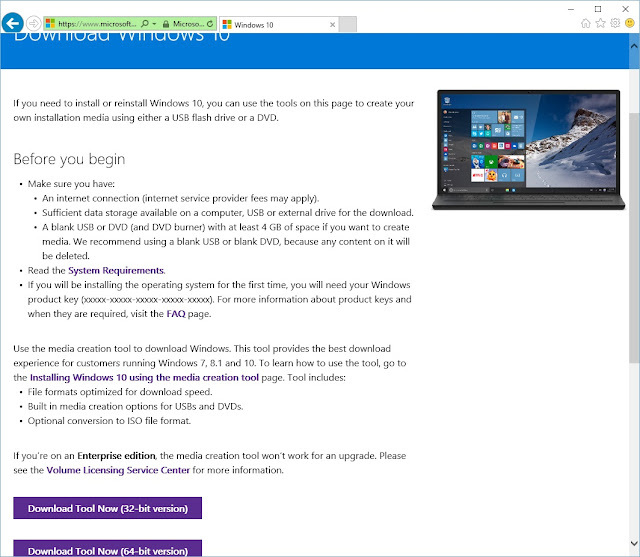 I found this new trick when I was browsing the Download Windows 10 page in Lumia 535, the website showed direct links to the ISO files rather than showing Windows 10 Media Creation tool which makes downloading Windows 10 ISO via a download manager like Internet Download Manager which can help in managing the download flexibly with ability to pause and continue whenever you want to. 2) Navigate to the Download Windows 10 website. 3) Press F12 so that the developer tools launches. 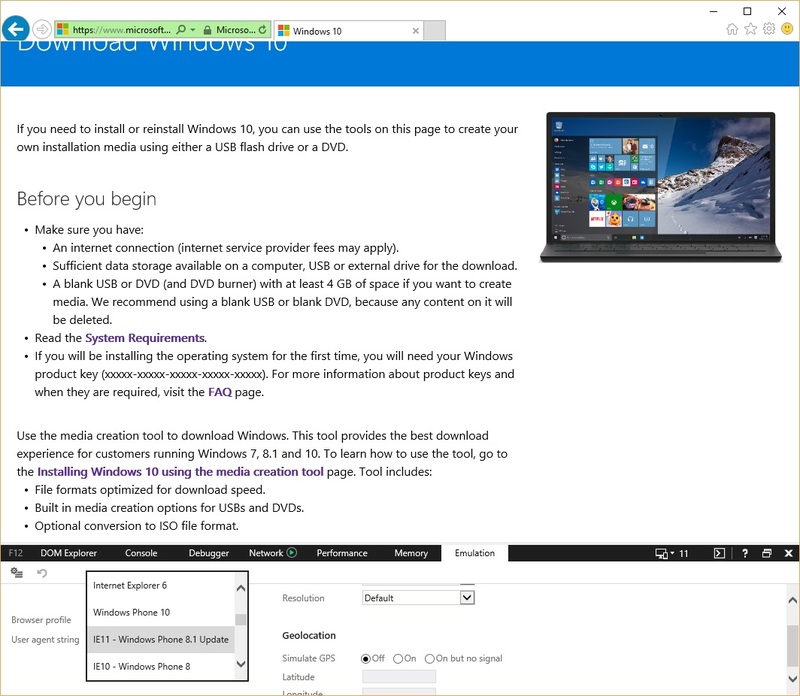 5) After selecting it, the web page will reload and will land you in a mobile friendly version of the website which gives you direct access to ISO files rather than download Windows 10 tool. 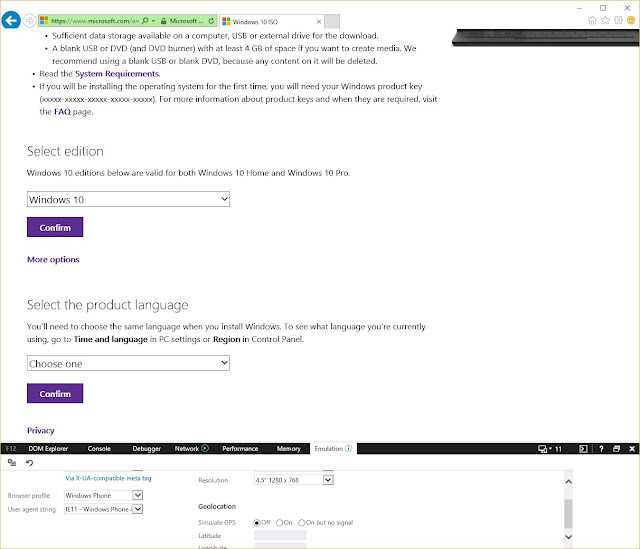 6) Now select your version of Windows 10 and choose the language and proceed with the download of "actual" Windows 10 ISO !